Mayo clinic’s management is pursuing a business strategy of efficient infringement – more commonly known as theft of other people’s inventions. This immoral course of action is exemplified by Mayo’s involvement in two frivolous patent lawsuits Mayo v. Prometheus and ACLU, Mayo et al. v. Myriad and in their support, through their lobbying organizations, for the America Invents Act (H.R. 1249 & S.23). The Act is nothing but a power grab by large multinational companies to steal the inventions of individuals and startups. The researchers at Mayo better wake up and realize that their managements’ actions, if successful, will not be limited to stealing the intellectual effort of non- Mayo inventors. Mayo’s argument in the Prometheus case, patent claims cover a natural phenomenon and are therefore not patentable, does not pass the laugh test. The Prometheus invention is a method of treating Crohn’s disease. There is no method of treating Crohn’s disease in nature, other than letting the disease take its natural course. Mayo’s defense is clearly an immoral attempt to appropriate the property of the inventor. Mayo and the ACLU’s arguments in the Myriad case run the gamut from: patents are monopolies, to the patent office (PTO) actions violated their 1st Amendment free speech rights, to property rights should not stand in the way of science, to the need of public out weighs the property rights of the inventor, and finally to the idea that patent claims to “isolated genes” cover “products” of nature. Mayo justification for stealing other people’s property rights is right out of Ayn Rand’s Atlas Shrugged. Every looter tries to denigrate patents by claiming they are a monopoly. Patents are granted because the inventor created something new that did not exist before. This is the basis of all property rights. The value of science over property rights is also straight from Atlas Shrugged – the State Science Institute (in the novel) makes exactly the same argument. The needs of the public or the poor are the arguments of every dictator from Hitler, to Stalin, to Mao and now includes the Mayo Clinic. 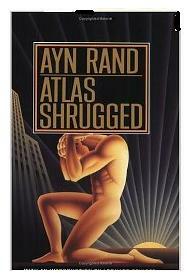 One argument that was so bizarre that even Ayn Rand could not anticipate it was the free speech claim. Nothing in patent law or the regulations say anything about speech. Their argument seemed to be that other people’s property rights were interfering with their free speech rights. This is a rehash of a Marxist argument, based on the idea that my need for an outlet for my speech means that you have to give me your property to achieve my need. It is not surprising to see the ACLU rehashing tired, worn out, and intellectually dishonest socialist arguments, but for Mayo to be associated with them is frightening. The only argument the trial court addressed was the idea that claims to “isolated genes” are a product of nature. The trial court opinion was 156 pages of rambling nonsense by a senile judge who does not understand patent law. Despite this, it is clear to anyone who wants to exercise their reason, genes are not found in isolation in nature. Even the argument that they are in isolation during mitosis does not separate them from the cell or from the human body. As a result, the nonsense argument that this allows companies to own a part of you is without any foundation. Mayo has not only put forth intellectual dishonest arguments for stealing Myriad’s inventions, they are also hypocrites. Mayo owns three patents directed to “isolated genes”: see USPN 5981217 and USPN 5618695 and USPN 6207375, ironically for Breast Cancer. The patent, 6207375, shows that the argument by Mayo researchers, namely, that it is impossible to design around the Myriad patents is nonsense and is being used as just another excuse to steal other people’s property. Mayo better wake up and realize that using the government to be a parasite works both ways. With the likely enactment of the America Invents Act, Mayo will soon get a taste of their own medicine. Unfortunately, they are likely to hurt a number of innocent people along the way. The researchers at Mayo need to understand that their management will not confine their theft to just outside inventors. The reason Mayo supports the America Invents Act and is pushing these lawsuits is that they do not want to pay for people’s inventions whether they be internal or external inventors. Weakening our patent laws has been a favorite way for large companies to reduce the wages they have to pay for engineers and scientists. These cases are likely the tip of the iceberg of Mayo’s systematic theft of other people’s intellectual property. The cost of filing a lawsuit has probably discouraged many other’s from filing a patent infringement case against Mayo. The actions by the management at Mayo should result in their immediate firing, imprisonment for theft and civil racketeering. Mayo’s management will never wake up to how they are destroying the medical efforts of Mayo. Confucius tells us we only need to see how one makes their money in order to know everything we need to know about that person. From that you can tell what they think of themselves, their fellow man, their world view, and God. Mayo gets grants, tax deductable donations, and of course charges for medical services. It’s common to hear physicians rail against pharmaceutical companies because they believe they charge too much while they also rail against insurance companies for not letting physicians/Mayo charge more. The employees of Mayo typically accumulate wealth through their wages and investments in tangible assets such as real estate. The people at Mayo have the tunnel vision Confucius tells us about. Of course it tears Mayo’s heart that they want to spend the donations they get on their research instead of the needs of their patients. In their focus on the micro economy of their patients who need their help they fail to see the forest from the trees. That micro economy is part of a larger economy that is the source of all of Mayo’s success. It’s much worse than Mayo getting a taste of their own medicine if this causes Mayo patents to be invalidated. The continued existence of Mayo is at stake. If the economy of patents is destroyed the number of wealthy people will be reduced to only those with tangible assets and the value of those assets are reduced along with the reduction of people who can afford the high price. This in turn reduces donators and donations to Mayo, and reduces taxes to the government which reduces grants to Mayo. Medical research will go back to the days of being dependant on the whims of the very few extremely wealthy robber barons. The wealth that Mayo depends on will be destroyed. The wealth of Mayo will be destroyed. The ability of Mayo’s employees to accumulate wealth will be destroyed which will destroy Mayo’s ability to acquire employee’s. Mayo and its patients would have been much better off if Mayo applauded the success of Prometheus and asked them for a donation. The success of Prometheus should be seen as another potential donor; the more such successes the more potential donors. It appears that Mayo’s real motives might be that it sees Prometheus as a rival to the donations and grants Mayo depends on and Mayo seeks to eliminate competition for those same dollars. But Mayo’s attempt to destroy its competition, if successful, will also destroy the dollars Mayo seeks. Regrettably, the mere fact that the US Supreme Court granted cert. in the Mayo case tells us that we as a nation are slip sliding away and down into the dark hellish hole of a new medieval epoch. Keep your filthy government hands off my Medicare and off the life-lengthening drugs that Mother Nature phenomenally gave to me without the efforts of a single, inherently trollish inventor or his succubus patent agent. Since we all love Nature, that Organic stuff and true “natural phenomenon”, then we get a cancer, or we merely worry about getting one, we should just all roll over and die. It’s what warm, fuzzy and loving Mamma Nature wanted of us in the first place. Remember, she gave us the cancer because she had a grander and harmonizing scheme in mind for us. It was she who cast the “die” into the middle of that Me-die-val (Medieval) world. It represents that happy nostalgic place we are gladly retreating to again as we throw our inventors onto the witch-hunt fires and slowly cook them into oblivion. God, please bless America; because clearly we have no intention of doing so for ourselves or our posterity. First thing we do after the revolution, is kill all the inventors. And only after that, their cursed patent lawyers. No doubt we will all be happier when their are no smart phones, no telephones, no internet, no cars, no tractors, no genetically modified food, also. Clearly the European people were better off in 1400s during the inquisition. Let the inquisition start with inventors and their apologist patent attorneys. Prometheus should countersue Mayo to invalidate any and all Mayo patents based on the same arguments made by Mayo and if filing a claim against Mayo for frivilous is allowed Prometheus should do that too. The problem with such a proposed, counter-sue strategy is that the attorney filing the suit has to sign a verification that he or she has reviewed the allegations and they are based on reasonable assertions as opposed to bat-dung, kukoo head and frivolous allegations. However, the allegation that an isolated compound (the BRAC composition) is a naturally occurring composition of matter is a bat-dung kukoo and frivolous allegation. The Federal Circuit judges understood that quite well. With that said, Supreme Court (in)Justices are no patent attorneys. So anything can happen in that higher, up-in-the-clouds realm of the judiciary. Why they might even declare that corporations are persons and have free speech rights equal to that of living, breathing and mortal citizens. They might even declare that Walmart is too big to sue and women are too subhuman to have the right to bring a class action law suit for employment discrimination. Anything can happen. This, after all, is America! (Which is why I complain. If I didn’t love America and care about its future, I wouldn’t bother complaining. America’s history is enshrined with contributions by people like Fulton (and his silly steamboat), Morse (and his dots plus dashes), Bell, Edison (light bulb, phonograph, movie projector, electric power system, systematic invention which gave rise to Bell Labs), the Wright Brothers, Chester Carlson (Xerox), Robert Noyce (the silicon integrated circuit) and on and on. However, recent developments in American politics and American jurisprudence and American business practice seem to indicate that the golden age of Yankee ingenuity is drawing to a rapid close as we ship our factories, engineers and know-how overseas while making it ever more difficult for inventors to reap the rewards of that which they sow. I didn’t mean to sound like I was questioning anyone’s love for our country. I just meant that I love having these problems as I would rather have them as opposed to not having them like some poor countries. So keep up the good fight. Enjoy the battle. Here is a link to an inspirational song about not giving up.